Portland International Airport’s carpet is the best kind of celebrity — it’s always around for pictures, supports the community and never gets caught in a scandal. After nearly 30 years, the PDX carpet is retiring and Portlanders are cherishing every moment until the final foot of carpet is pulled up at the end of this year. The carpet has been an icon of Portland culture since the 1980s and will officially be retired by the end of the year. In response, more than 40,000 “foot selfies” have been posted on Instagram, local companies created carpet-themed merchandise and carpet-loving Portlanders have been getting the pattern tattooed. Johnston has lived and worked in Portland her entire life and says she’s seen the magic of the PDX carpet firsthand. When the new carpet was rolled in, Johnston remembers people running to it to take a new foot picture with the hashtag #newPDXcarpet. 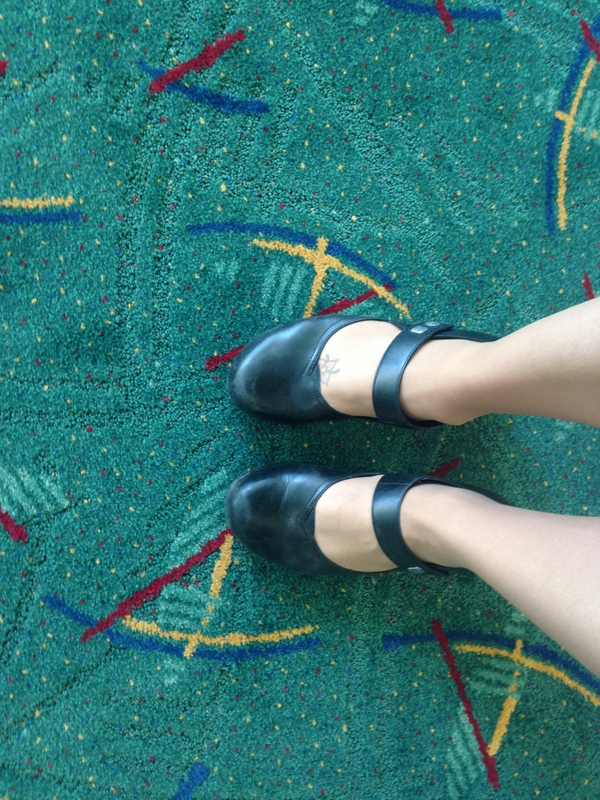 Johnston admitted she has taken a foot selfie with the original PDX carpet but hadn’t taken a new one, yet. Currently, only bits and pieces of the airport house the new carpet. Alaska’s check-in counters and gates are styling it but the old carpet can still be found in Concourse A where Alaska’s regional flights operate. Construction crews lay pieces of the carpet each week, but most travelers will never see it because they work mostly at night so nobody is inconvenienced. Last year, 15.9 million people travelled through PDX and over the carpet this year – an all-time high. After serving travelers for 30 years, the carpet simply needed to be replaced. You can find retired portions of the carpet in construction areas near check-in counters. Lowers and fellow Oregon natives can rejoice: while the teal carpet might not be in PDX at the end of the year, it will find several new places to call home. 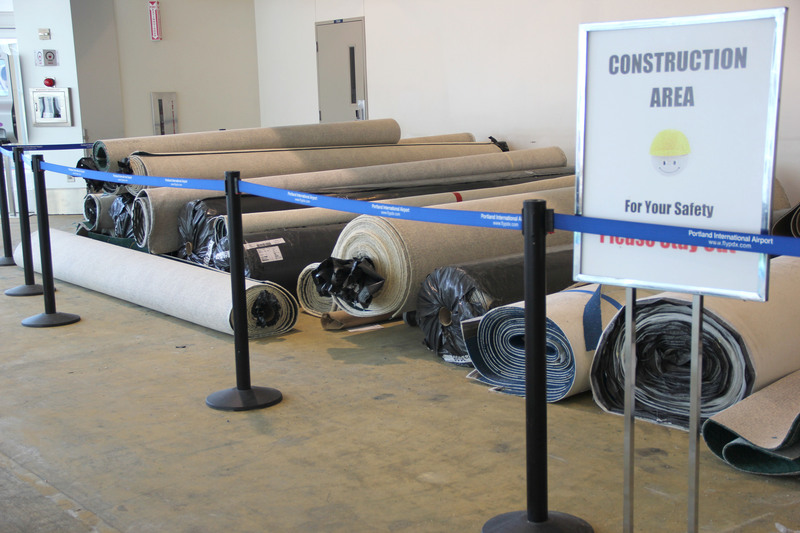 The airport announced that four 1,000-square yard sections of carpet will be given away and sold by four vendors: Carpet Mill Outlet, Nagl Floor Covering, Two Dogs in a Boat and City Liquidators. “Peedee” a new PDX carpet character with googly eyes and a seatbelt waist made appearances this year as Portland’s newest celebrity. The Portland Rose Festival Foundation named Peedee the official Grand Marshal of the 2015 Starlight Parade. The blue, red and lavender carpet was designed to symbolize the airport’s intersecting North-South runways as seen from the control tower at PDX. The iconic design also made an appearance at the Rock n’ Roll Portland half marathon in May – it was rolled across the finish line. Portlanders’ passion for their carpet has given it a second life. Even though PDX authorities determined the carpet was too old and had to be replaced, it will continue to live through social media and in loving fans’ homes.Alaska Airlines offers more nonstop flights, more daily flights and more California service from Portland International Airport than any other carrier. With Alaska Airlines connections in Portland, the only thing that you’ll miss is the carpet. Have a great PDX carpet selfie? Share it with us by #PDXcarpet and #iFlyAlaska.